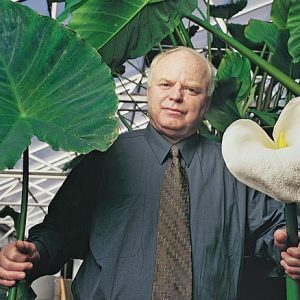 John Todd has been a pioneer in the field of ecological design and engineering for nearly five decades. He is the founder and president of John Todd Ecological Design. Dr. Todd has degrees in agriculture, parasitology and tropical medicine from McGill University, Montreal, and a doctorate in fisheries and ethology from the University of Michigan. He is professor emeritus and distinguished lecturer at University of Vermont’s Rubenstein School and a fellow of the Gund Institute for Ecological Economics at UVM. He is also the founder and president of Ocean Arks International, a non-profit research and education organization; and co-founder of New Alchemy Institute, a research center that has done pioneering investigation into organic agriculture, aquaculture and bioshelters. He has been an assistant scientist at Woods Hole Oceanographic Institute and assistant professor at San Diego State University. Dr. Todd is the author or co-author of The Village as Solar Ecology (1980), Tomorrow is Our Permanent Address (1980), Reinhabiting Cities & Towns: Designing for Sustainability (1981), Bioshelters, Ocean Arks, City Farming: Ecology as the Basis of Design (1984), and From Eco-cities to Living Machines (1994). He is also co-editor of “Solutions Journal”; a fellow of the Lindisfarne Association; a member the Society of Ecological Restoration and the Ecological Society of America; and serves on the advisory board of Ecological Engineering, the Journal of Ecotechnology. His patented Eco-Machine™ was exhibited by Smithsonian Institution’s Design Triennial at the Cooper–Hewitt Museum of Design in New York City. In 2007 Dr. Todd was named one of top 100 visionaries of the 20th century by “Resurgence & Ecologist” magazine. He also received an E.P.A. Award for his restorer technology on Lake Punawai, Four Seasons Resort, Hualai, Hawaii, for the promotion of innovative ideas, addressing environmental problems and its ability to be widely replicated. His work was recognized in the “Genius Issue” of Esquire and he was profiled as one of top 35 inventors in “Inventing Modern America” by David Brown.